Team LC recently went over to Miss Lauren’s house for an early Valentine’s Day dessert get-together with friends. 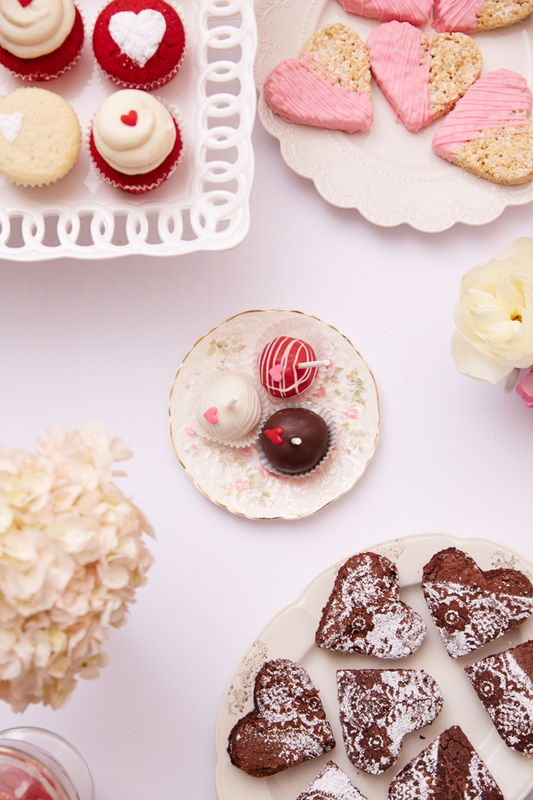 Everything from the flowers to the delicious baked good were picture perfect, and we couldn’t resist sharing some of the photos with you. We love the idea of throwing a dessert party because it takes a little less effort than hosting a big dinner party. In fact, you could even pull it off on a weeknight. Simply tell your guests to eat dinner on their own beforehand so that they don’t expect to be served a main course. 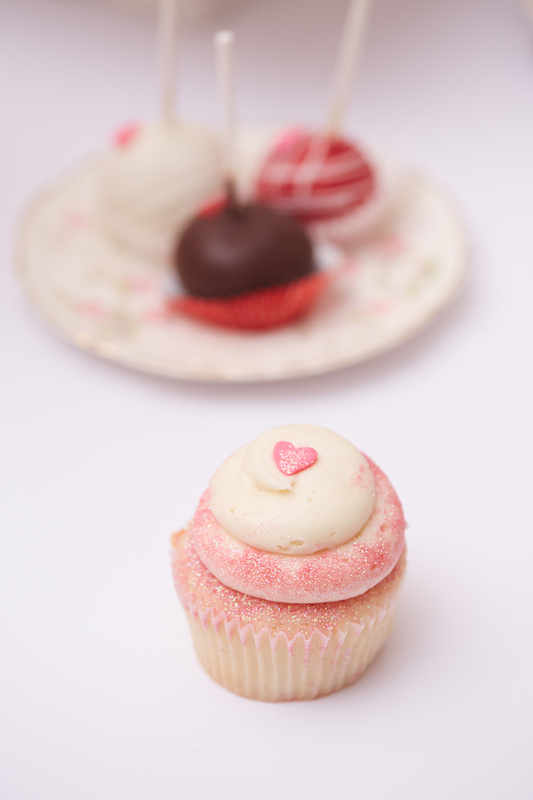 Then invite everyone over for sweets and feel free to end the night with one of your favorite romantic comedies too. 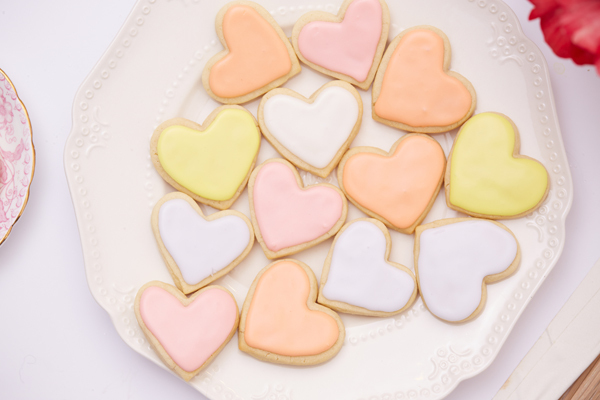 Baked goods taste so much better when they’re in a festive heart shape, don’t you think? 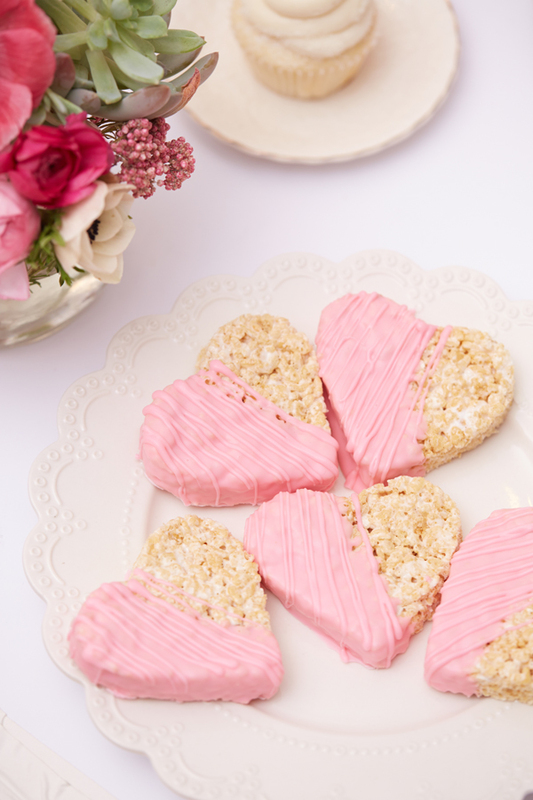 One of the guests, Lauren Lowstan, is a seasoned baker and she made the cutest heart-shaped Rice Krispie treats dipped in pink frosting (among several other goodies). 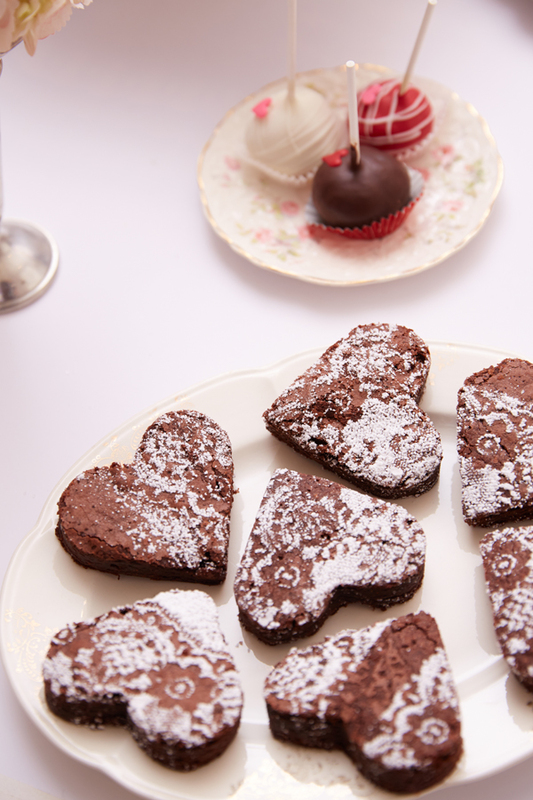 We also loved how she cut the brownies into hearts as well. The more hearts, the better. We enlisted our friend and florist Caitlyn Rylander to bring fresh flower arrangements to add some life to our dessert table. 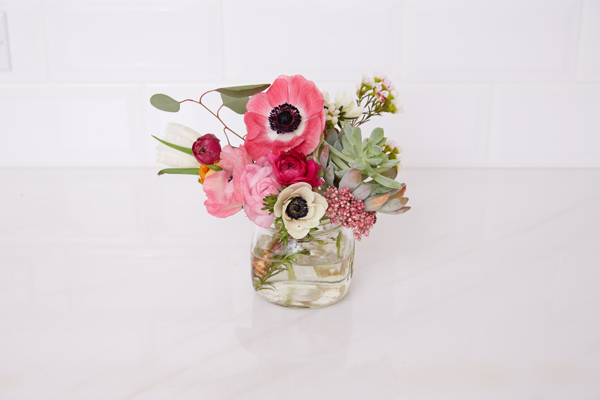 In our favorite bouquet, Caitlyn grouped ranunculus, anemones, fringed tulips, eucalyptus and succulents. Remember to throw on some fun holiday tunes for your get together. 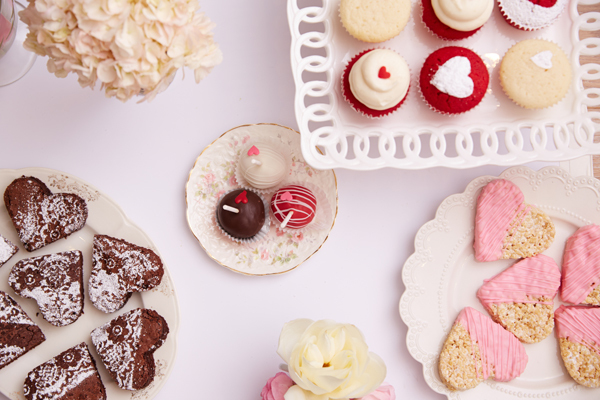 Click here to see our favorite LaurenConrad.com Valentine’s Day playlist. 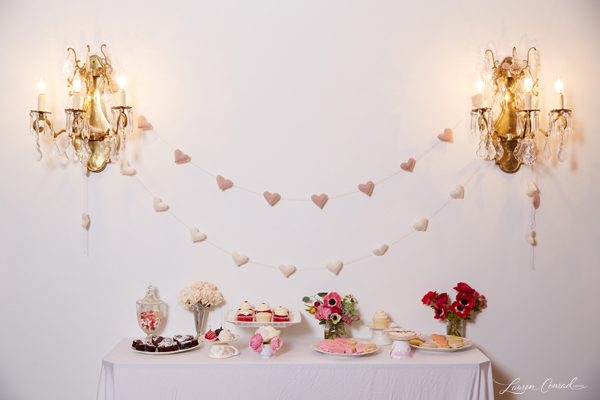 No dessert table is complete without some type of hanging garland. While we love tassles and glittery streamers, these felt heart garlands from The Little Market are our new favorites. They’re cute enough to use year-round! 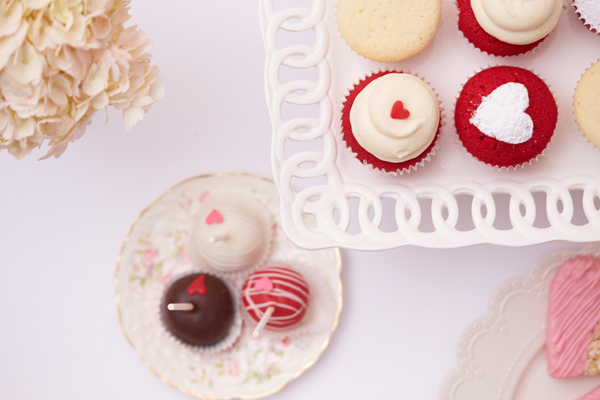 We hope these photos have inspired you to host your own Valentine’s Day dessert party this year. Be sure to stay tuned for more Valentine’s content on the site! 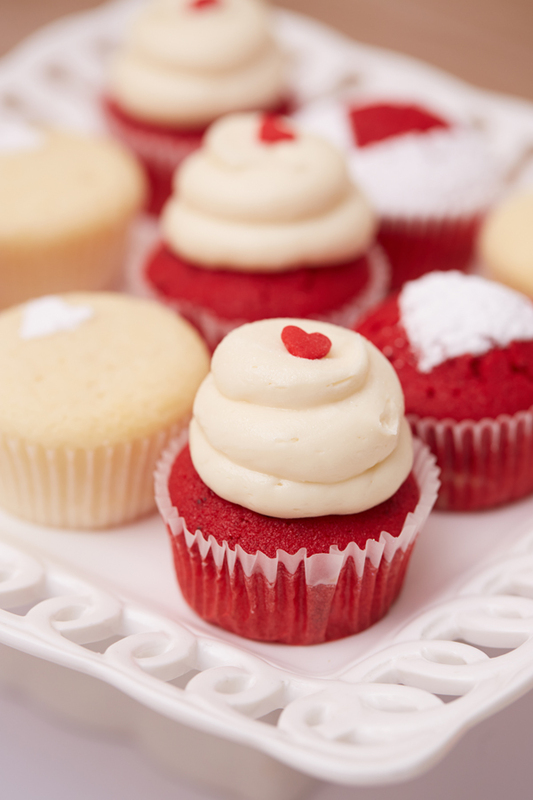 What desserts will you serve at your Valentine’s Day party? Leave your list in the comments below.